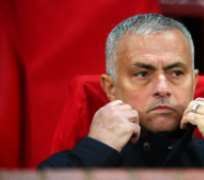 But Mourinho has defended his reign, and told beIn sports : “I also think that sometimes we think what we see, but we don't know what's behind the scenes. And that influences what we see. “You say 'this guy is crazy. He won 25 titles and he's saying that second position was one of his best achievements in football'. “I keep saying this because people don't know what is going on behind the scenes.